Live streaming continues to get a lot of attention from a lot of churches, and I continue to get requests for help on improving these. It’s hard to give general solutions on this because every church is different in terms of where they could use some improvement, but there are some common challenges I see. One of those is monitoring. 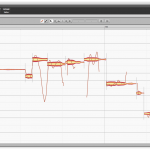 Monitoring in a studio or broadcast environment refers to the studio monitors the engineer is listening on. I’ve noticed that a fair amount of churches are trying to move their live stream mixing to a dedicated environment, but when they do so they often neglect the monitoring and the environment. Monitoring properly is crucial, though, and outside of the talent of the engineer it is, in my opinion, THE most critical component in the results you get. If an engineer can’t hear an accurate representation of what they’re doing, they will have a hard time creating a mix that translates to the variety of listening platforms people use these days. Part of getting monitoring right involves room acoustics, and these should really be dealt with first. Isolating the space from outside noise is helpful, but often a bigger part is getting the acoustics within the room right. I’m not going to get into specifics today, but I will say that improving room acoustics isn’t always as expensive as you might think especially if you’re using the cost of acoustic treatment in a large venue as a reference. For example, I built the treatment for my studio over a couple days, and I’m not great at construction by any stretch of the imagination. The total cost to me was also very affordable right around $200 in materials for 12 panels, and you can hear examples of work I’ve done in that space on my engineering website. DIY treatment probably won’t make everything perfect, but it can be a substantial improvement for a minor investment. The other side of monitoring, though, are your actual speakers. Choosing monitors is one of my least favorite things to do because it’s a very personal thing and there are far too many options these days. Plus at this point of my career I understand how critical your monitors can be so it’s also a bit nerve-racking. 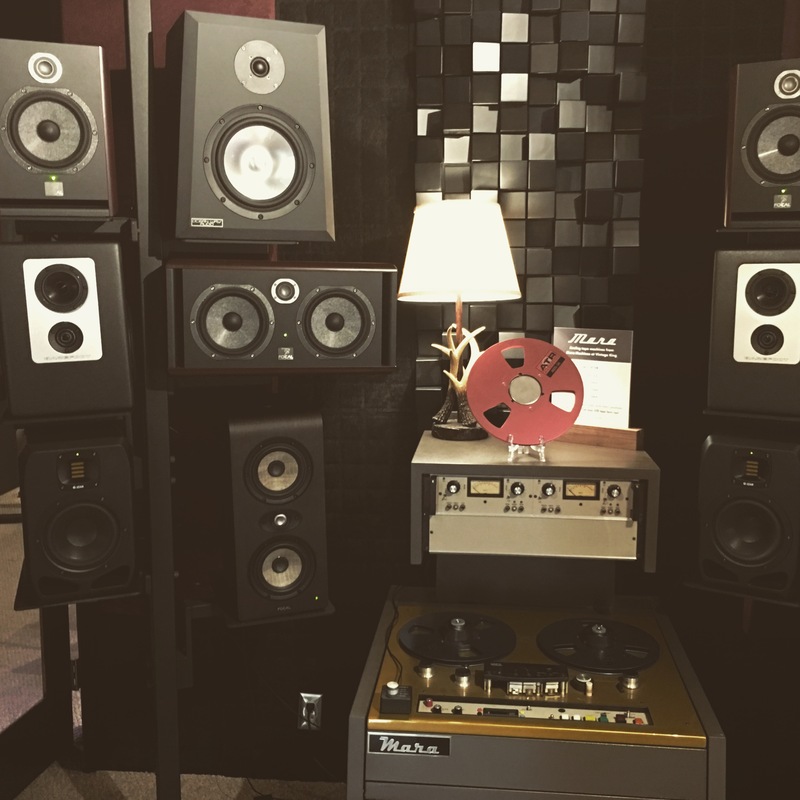 I recently spent a few hours at Vintage King up in Nashville auditioning new monitors to upgrade my own studio, and everything I listened to was pretty good to great. I know what I’m going to be doing when I upgrade, but that doesn’t mean my choice should be your choice. That said, there are some general guidelines I think can come in handy when looking for your monitors. First, I want a full-range set of nearfield monitors. I want these to be incredibly transparent and revealing. They shouldn’t embellish or flatter the sound of what I’m hearing at all. When I listen through these, I want to know exactly what I’m getting in terms of my inputs so I want these as brutally honest as possible. These are essentially my mains, and I use these to make a lot of my main mixing decisions. I wouldn’t recommend skimping on these, but that doesn’t mean you have to spend a fortune here. For example, the Equator D5’s a lot of us got excited about a few years back went for around $3-400 a pair, but I would easily compare them to speakers closer to $1000 a pair. Sadly, Equator is no more, but that doesn’t mean there aren’t other options like that around these days. You might just have to dig a little to find them, though. Now, there is some debate on exactly how “full-range” your monitors should be. If you dig around on the ‘net you’ll find a lot of people talking about monitors and whether they are “too big” for a room. What people are really talking with this is low frequency reproduction. There are some schools of thought that you shouldn’t put more low frequency into a room than a room can handle. Since small rooms often have low frequency problems related to room modes, some argue to just keep the LF out of the room. Personally, I find a lot of this silliness because low frequency issues in rooms aren’t typically consistent throughout the room. So if you choose to reproduce low frequencies with larger speakers and/or subs, the key is understanding how to work around the room issues and understanding there is no perfect solution. In addition to a primary set of nearfields, I think it’s also a good idea to have a second set of monitors to reference. Some guys look to these for more of a real-world perspective, but I like to use them simply to get a second opinion. I want my mains to be the best speakers I own, but they will never be perfect which is why a second set can be really important. Normally I wouldn’t get specific, but for me these are a set of Auratones. 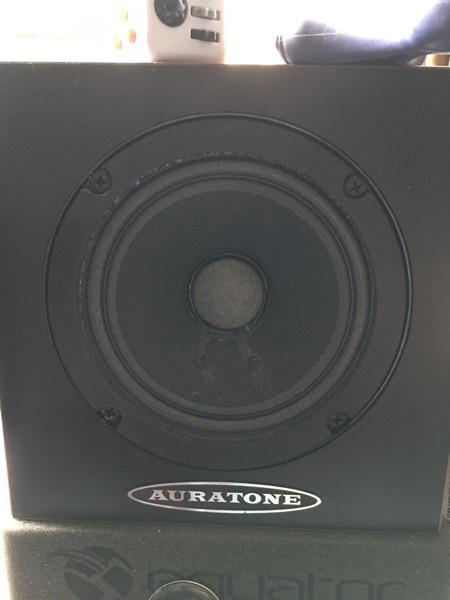 Auratones have a mixed reputation, but I think a lot of that comes from a misunderstanding of what they are useful for. I love mine, and I added them for a couple of very specific things. For starters, Auratones are all about the mid-range. Mid-range is a crucial component in every mix because it’s the center of our hearing, and it is the one frequency range that all speakers reproduce. It doesn’t matter if your low end and/or top end are amazing if you don’t get the mid-range right. My Auratones help me focus exclusively on the mid-range of a mix, and I spend a lot of time on these refining things to get everything fitting and sitting together just the way I want. The other thing I like my Auratones for is getting a good idea of what’s happening with transients. These days most nearfields are ported, but the Auratones are sealed which gives them a leg up when it comes to transient response. This makes them helpful for fine-tuning compressor settings and getting a sense of the punch of the mix. Now, you don’t need to use Auratones specifically as a second set of monitors, but I highly recommend getting something as a second set. In the old North Point Studio we originally had Dynaudio BM-15’s as our main nearfields and Adam A7’s as a second set, but you don’t have to just use studio monitors for a second set. For years I also used some old computer speakers, and I know some engineers like Chris Lord-Alge and Michael Brauer use a boombox. I actually have a third monitoring option in my current studio that allows me to use my laptop speakers as a monitor which provides me a great real world reference since web consumption is a big factor in a lot of the projects I’m doing these days. I guess the point I want to make in all this is your monitors are a critical tool in creating a successful mix so it’s important to work on getting this right. Of course, once you have your monitors set up properly, how do you make the most of them? I’ll save more on that for another article. In the meantime, if you have any questions about monitoring, please let me know in the comments. Great thoughts here Dave, I also like to live monitor the stream through a iPhone or some other mobile device as well. Often, the input to the encoder is just too low of a level. Meaning the playback volume has to be turned all the way up just to hear. Music is too loud and the pastor too low. Or even worse, everything is too low. Most laptops and mobile devices, which are about 70% of the connections to our service, just cannot get loud enough for the listener to hear over the device’s internal speakers. We HEAVILY compress our input to the encoder. It’s not pretty on a pair of Genelecs, but it’s not bad at all on an iPhone or laptop. My goal is to have the listener run their volume at about half instead of 100%. Great to hear your reasons for a second set if monitors. In my situation there are Yorkville Ysm8’s for main monitors & they are make getting the low end translating to headphones etc difficult. also trying to get the elements of the mix to sit without squashing everything too much is a new challenge compared to FOH mixing.